The Mountain Buggy Haven Isofix Car Seat is a forward facing Group 1/2/3 car seat for children from 1- 4 years old. With its safeguard buffer across the middle, this car seat offers evenly spread protection should there be a collision. It can also be used for older children, without the safeguard feature, as a lightweight booster seat. Why should I choose the Mountain Buggy Haven Isofix Car Seat? 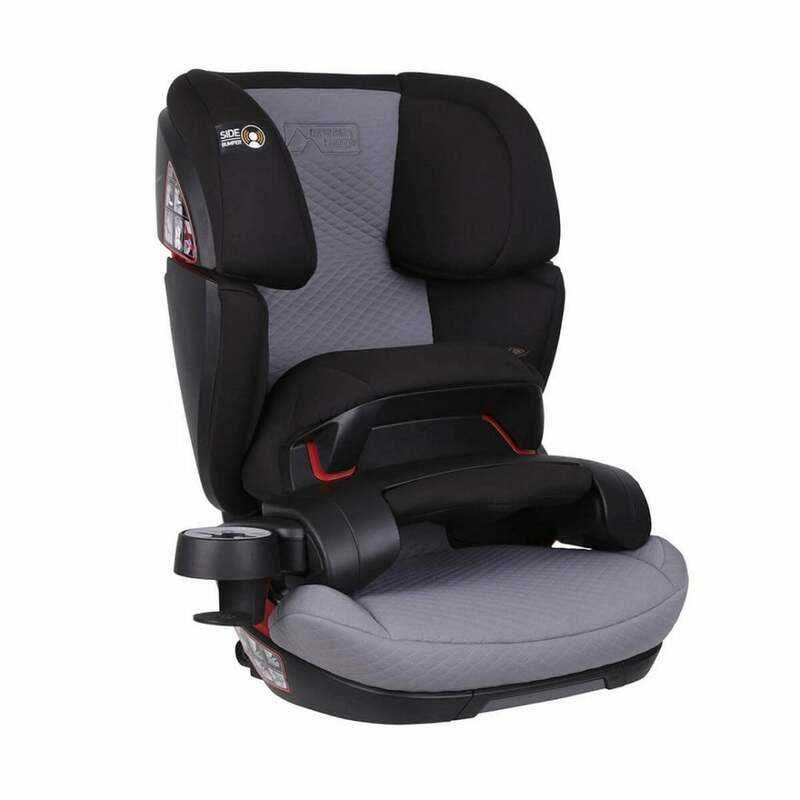 Mountain Buggy Haven Isofix Car Seat is suitable for children from from 9 - 36 kg / 1 - 4 years. The exceptional point to remember about this car seat is that it is long lasting and durable - offering great protection and value for money. If you are looking for an alternative to the usual 5 point harness then look no further than the Mountain BuggyHaven Isofix Car Seat. It has an additional safety guard buffer across the front of your child's abdomen. This buffer absorbs the force of any impact should there be a collision. The Haven Isofix Car Seat has breathable, durable fabrics that are machine washable too. The car seat also gives you all round safety features including Isofix fixing. The Isofix fitting makes sure the car seat is installed properly in your car. Additionally, this car seat provides reinforced protection from collisions at the side of the vehicle. The adjustable depth of this seat makes sure your child enjoys a comfortable and secure snug fit. You can move the height of this seat as your child grows. Using just one hand, you can alter the height making it very convenient to use when you are out and about. The Mountain Buggy Haven Isofix Car Seat gives your family excellent safety. It evenly absorbs the force of any impact over a larger area of the body thanks to the safeguard buffer across the middle. In doing so it takes away the stress to your child's head, neck and shoulders. The MountainBuggy Haven Isofix Car Seat therefore fits your child's body shape, and size to provide excellent safety. As your child grows older from 15-36 kg in weight, they can use this cleverly adaptable car seat without the safeguard buffer. It therefore becomes as lightweight booster seat as well. The easy to follow seat belt guides ensures the belt is in the right position across your child's body too. The safeguard harness gives your child excellent safety by creating a rolling movement, rather than a whiplash effect. Finally, the sleeping position of this car seat means your child stays comfortable on longer journeys too. What's in the box of the Mountain Buggy Haven Isofix Car Seat? What are the specifications of the Mountain Buggy Haven Isofix Car Seat? Dimensions with safeguard: (H x W x D) 64 - 83 x 47 x 47.5 cm / 25.1 - 32.6 x 18.5 x 18.7 "
Internal seat dimensions: (H x W x D) 55 - 73.5 x 35 x 36 cm / 21.6 - 28.7 x 13.7 x 14.1 "